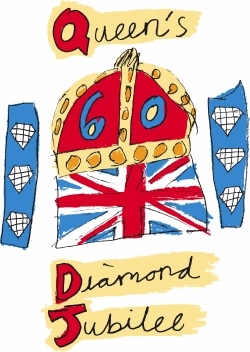 As well as the Olympics, 2012 also marks another huge celebration in the UK, the Queen’s Diamond Jubilee. 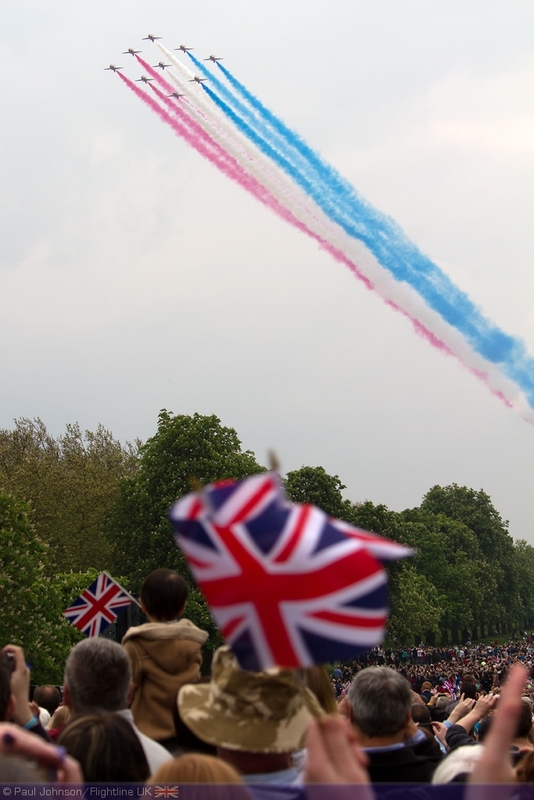 May and June will see a number of events to mark Queen Elizabeth II’s 60 years on the throne and naturally the armed forces will take a pivotal role the celebrations. 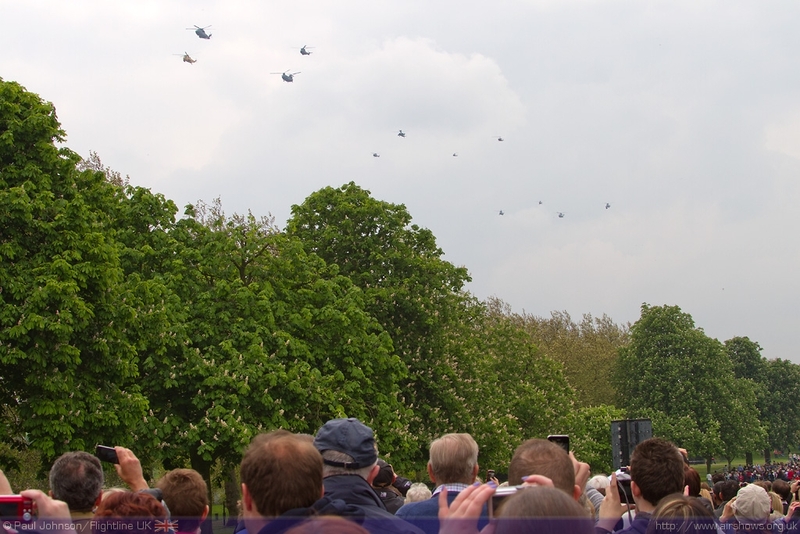 On the 19th May the armed forces had their own very special celebration at Windsor with a huge Muster featuring all three services which included one of the largest flypasts of recent years. 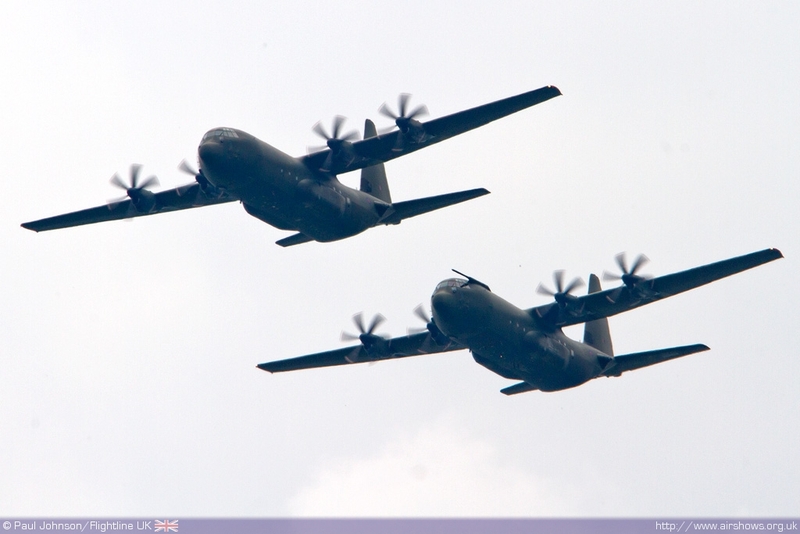 Paul Johnson/Flightline UK reports from the Long Walk. All photography by the author with video highlights from Planes TV. 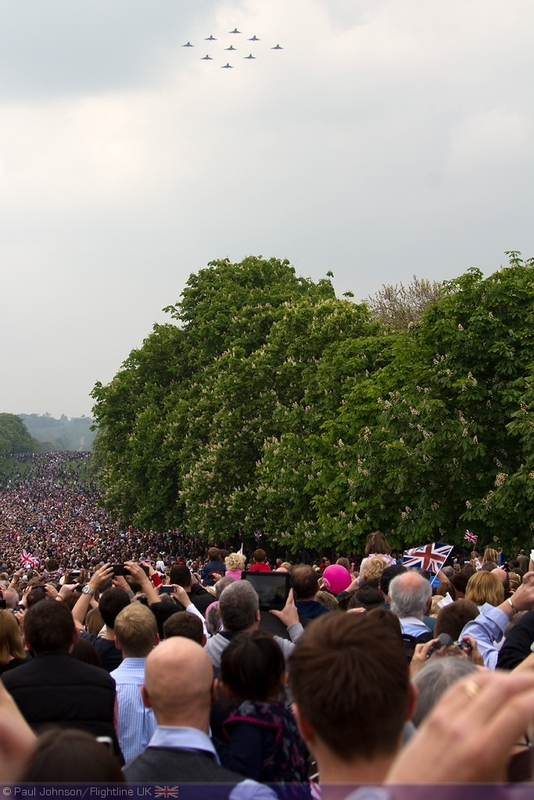 It is slightly unusual that the focus for this national event was switched from London to Windsor. 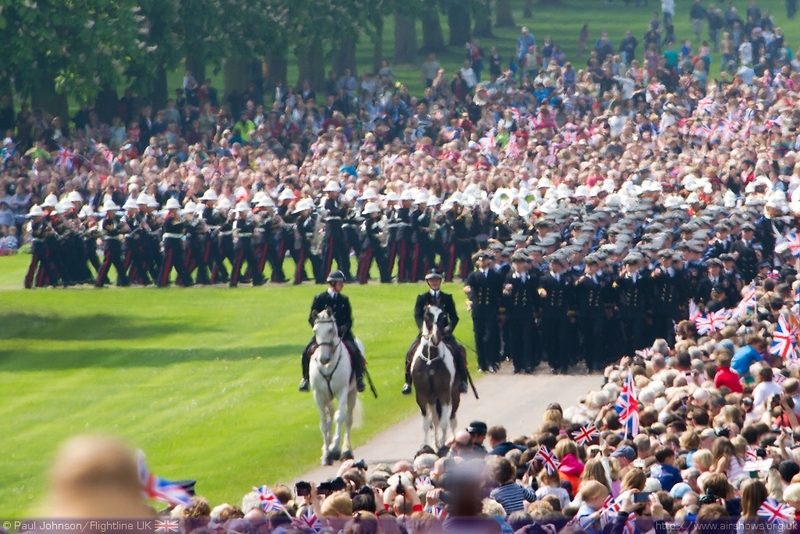 Large scale flypasts are usually held over the Mall and Buckingham Palace but Windsor provided a unique setting for the official salute to the Diamond Jubilee by the armed forces. For many, the main attraction of the Muster was one of the largest flypasts of recent years featuring participation from all three services and a mix of helicopters and fixed wing types. 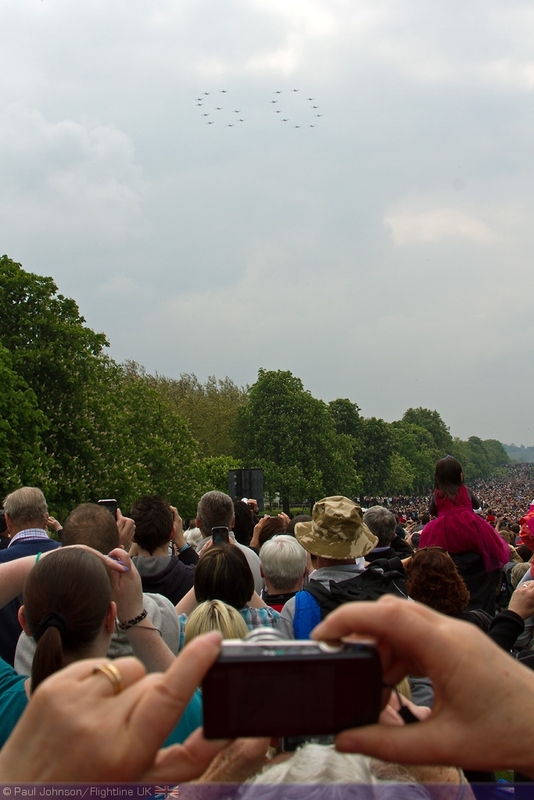 The Long Walk, an impressive avenue that leads down from the town of Windsor into the expansive open areas of Windsor Great Park. 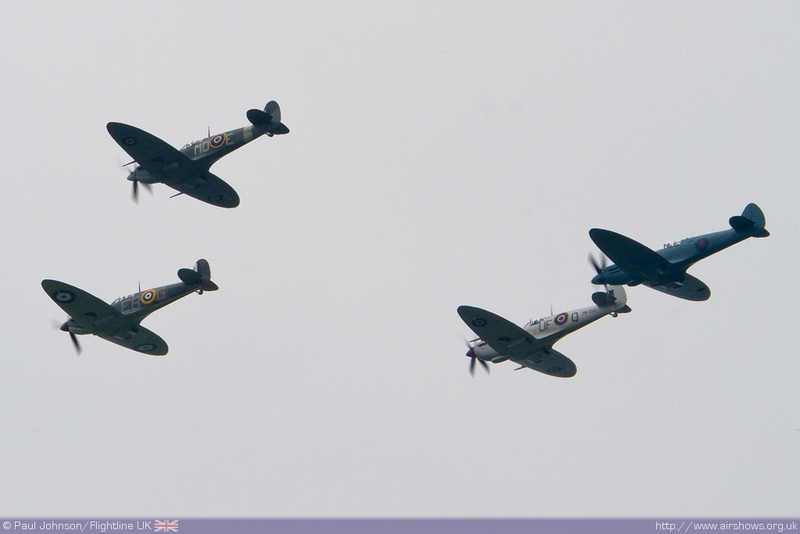 The change of venue also meant the flypast route was very different with the aircraft gathering over the English Channel over the Sussex Coast before turning north routing from Selsey and Goodwood to Windsor. 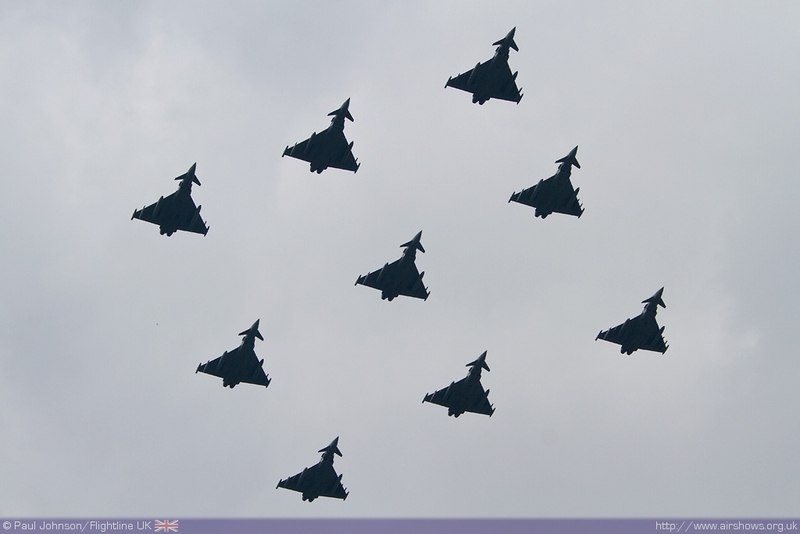 The Royal Air Force provided a dramatic opening to the Muster with large Diamond Nine of Eurofighter Typhoons from RAF Coningsby. 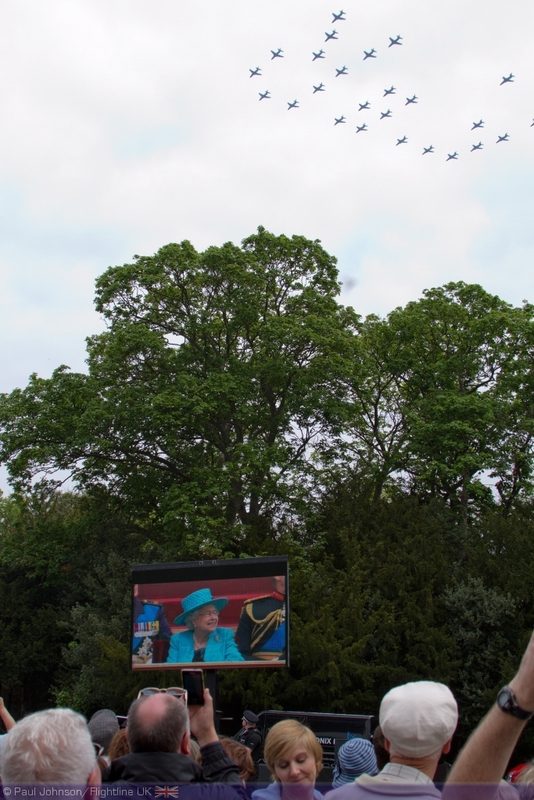 The flypast marked the arrival of over 2400 personnel led by the Royal Navy from their initial mustering point in the Long Walk. 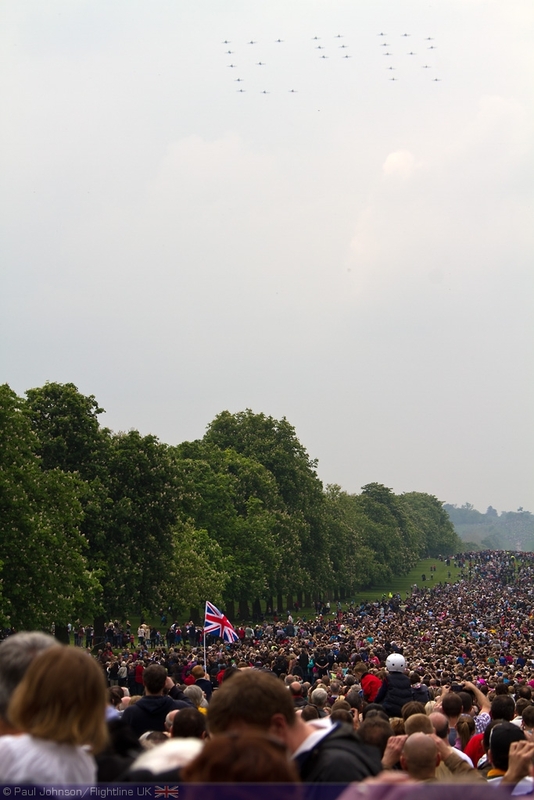 After the mazing military pageantry of a Drumhead Service, the main portion of the flypast arrived overhead Windsor. 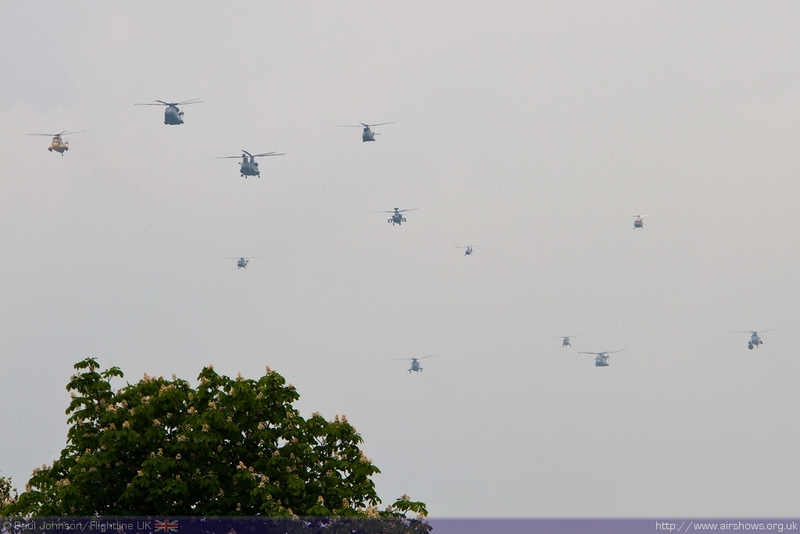 Leading the flypast were three formations of helicopters from all three services which were based at RAF Odiham for the flypast. 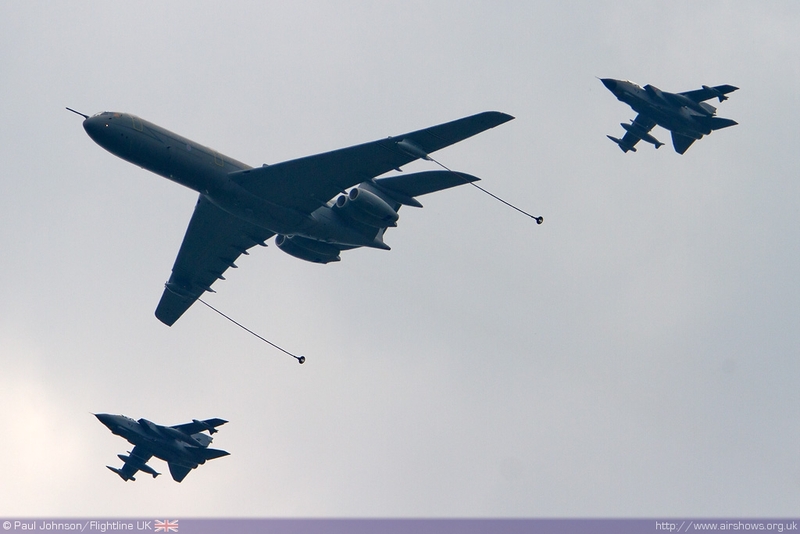 The lead formation was the RAF rotary contribution with Chinook HC2, Puma HC1, Merlin HC3 and Sea King HAR3A. 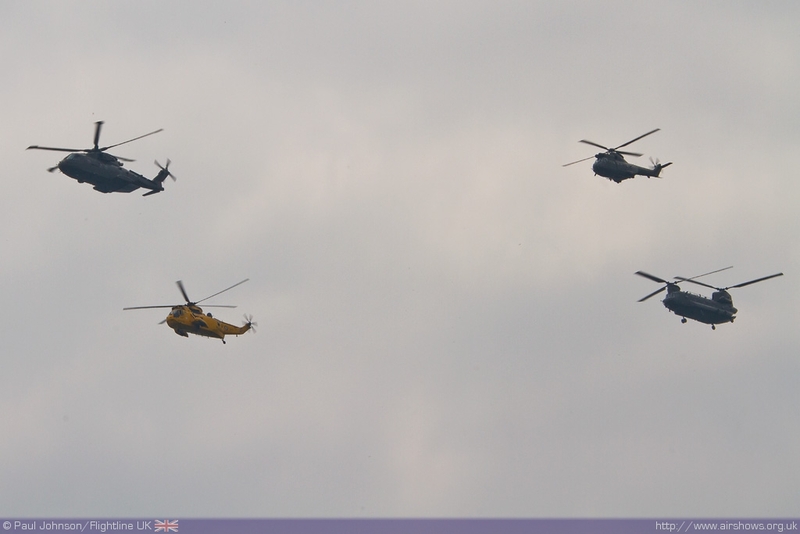 The Army Air Corps followed with the Apache AH1, Bell 212, Lynx AH7 and Gazelle AH1 while the Royal Navy brought up the rear with the Sea King HC4, Sea King ASaC7, Merlin HM1 and Lynx HMA8. 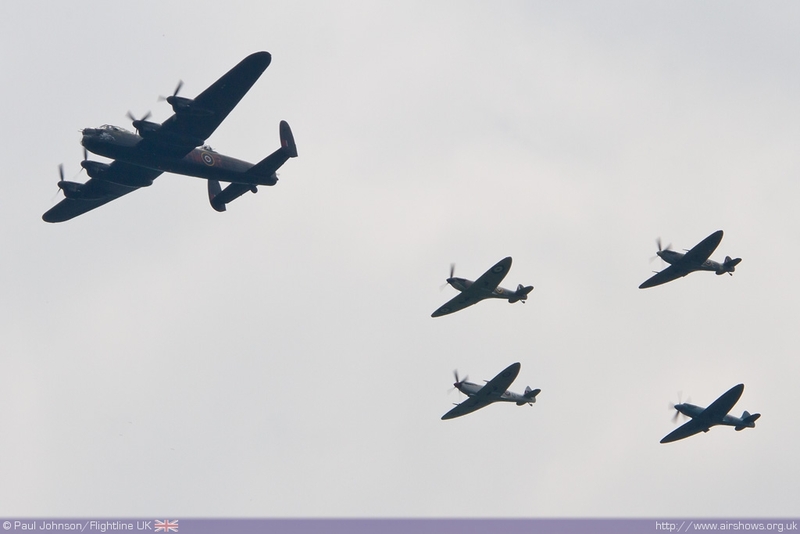 Regular flypast participants the Battle of Britain Memorial Flight opening the fixed wing flying with the Lancaster bomber leading an unusual formation of four Spitfires with the Mark II, Mk Vb, Mk IX and a PR XIX in a tight box four formation. 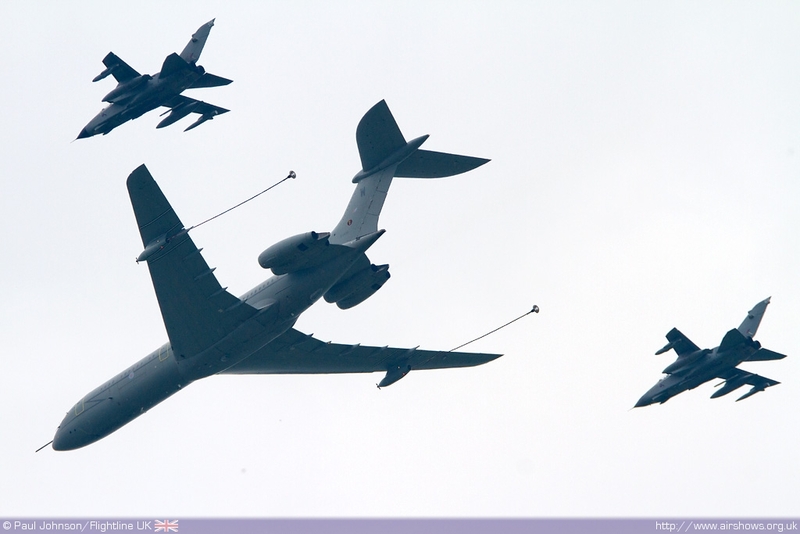 Other elements included a very close formation pair of C-130J Hercules from RAF Brize Norton and a VC-10 leading a pair of Tornado GR4s. 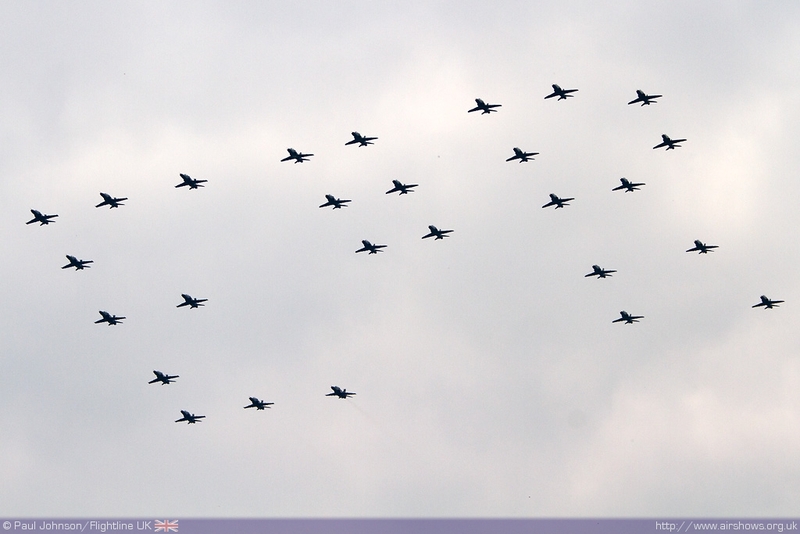 Perhaps the most notable formations in the flypast were the large formations of Tucano T1s and Hawk T1s and T2s. 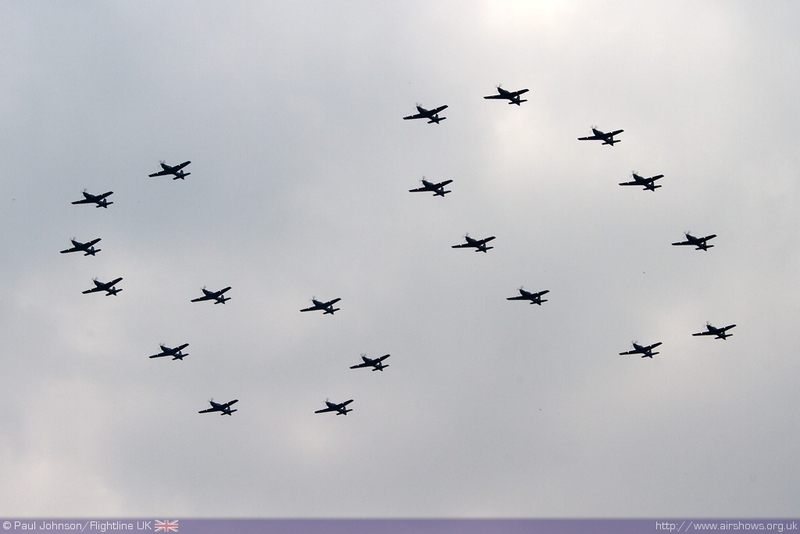 The 20 Tucanos followed the BBMF forming the number ‘60’ in the sky while the Hawks provided the penultimate element with 27 aircraft from the RAF and Navy forming ‘E II R’ over the skies of Windsor. It has been a long time since such large formations have been seen in public and both were nothing short of spectacular. While the ‘60’ formation was unique to Windsor, the ‘EIIR’ formation will at least be seen again in public again later this year at the Royal International Air Tattoo, RAF Fairford. 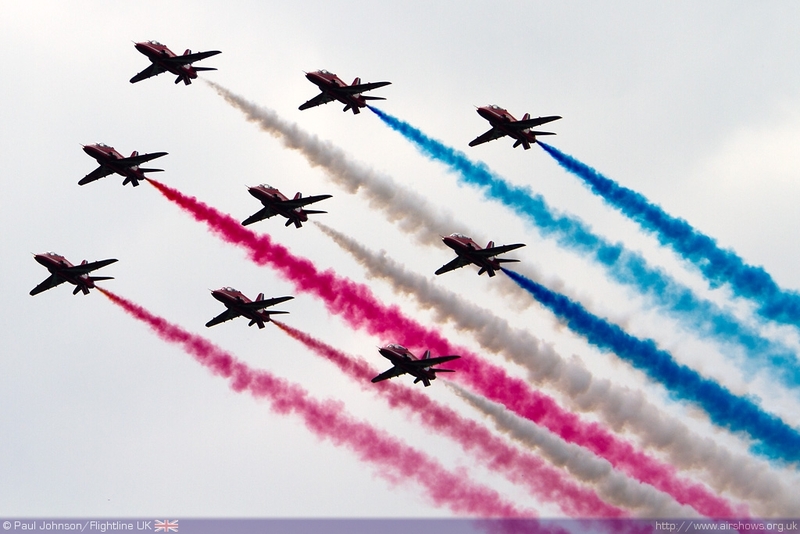 Closing the flypast were the Red Arrows in a stepped down Diamond Nine formation trailing Red, White and Blue smoke. Of all the elements they perhaps got the biggest reaction from the crowd – a sign of the level of affection the public still has for the team considering what a challenging year the team endured last year! 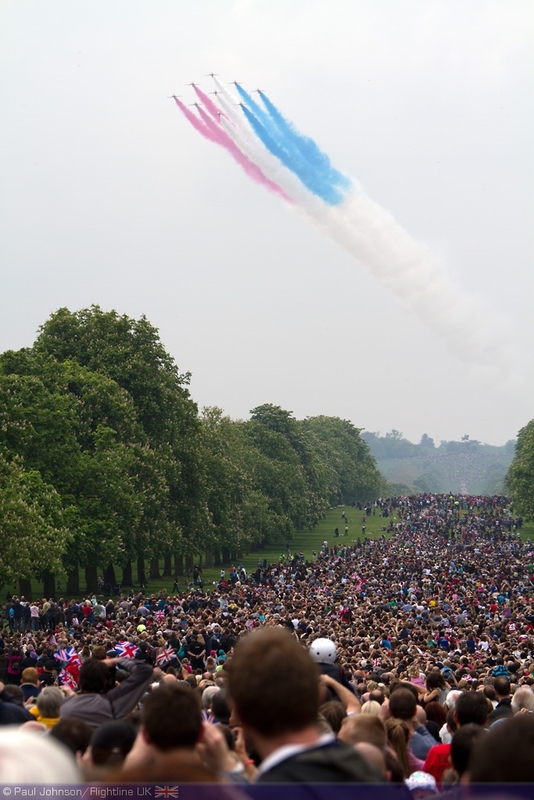 It may not have been the largest flypast staged by the armed services, but there was no doubting how much the crowds gathered around Windsor enjoyed such a spectacle not the skill of the participating pilots who flew so perfectly with stunning results.